Super cute. I love a sundress any time of year. 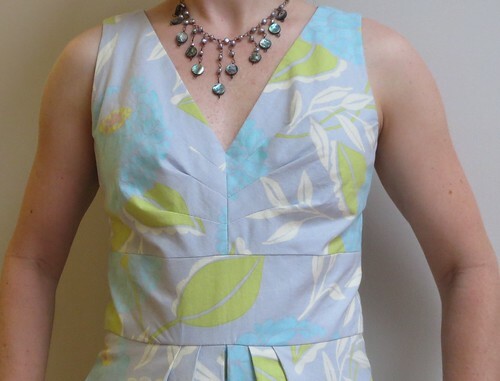 That bodice is very nice on you and you could use with a slim skirt portion for a different look. As for photos... You might need an offside/ slave flash for your camera to help with lighting? This dress is lovely on you - very interesting color combo, and your hat goes well with it. Nice work on the pleats, too! I am so sorry to hear of your losses. We are all glad to you have you back in blog land! You are too cute! And the dress is so pretty. So sorry to hear about the sad family time. SO glad to see you back. :) This is a very lovely dress. I hope you will have a good warm holiday season. Hugs. Glad to see you back. Sorry about your family's losses. Your dress looks great -- especially with the hat! (1) Yay! You are back! (2) I am sorry to hear about all of the family troubles, hopefully things will be looking up for you soon. (3) Totally understand about falling off of the blog-o-sphere... I feel like I haven't been posting as much as usual lately, though, if I sewed more things for me I suppose I would have more to write about. (4) Your dress is awesome! So sorry to hear about the reasons for your absence, and very glad to see you back! I think your new photo spot is a pretty good one. And the dress is adorable. What a gorgeous pattern too - makes me think of Marilyn Monroe. Welcome back! It's funny, I was just thinking yesterday that I hadn't seen any posts from you recently. Sorry to hear about your sad news. Well done with the adjustment of the bodice. 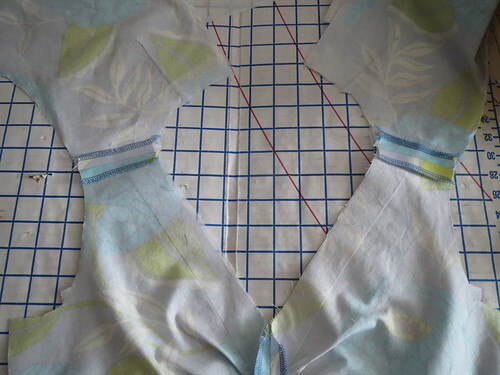 I always hate adjusting this sort of bodice with pleats and details, but it's worked really well for you! Glad to see you again! I am sorry for the losses in your family. The dress is lovely! 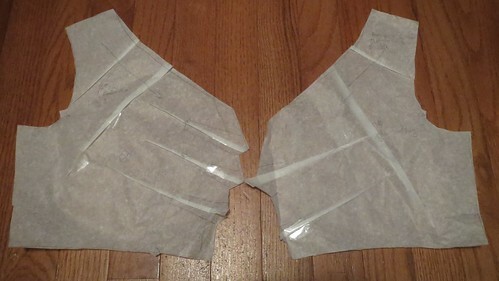 Maybe boning would stabilize the midriff section? I was just thinking about you yesterday and almost squealed when I saw your post this morning (just too early for squealing). Glad you are back. And thank you for the pic of what you did to petitify the boobage. 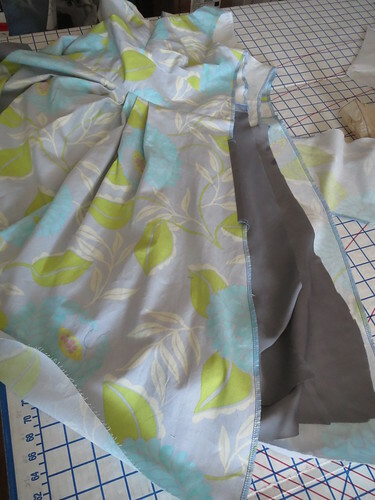 I have another pattern with similar pleats that I have abandoned because it was taking too long to figure out. Sorry to hear about the deaths in your family. It seems to be that kind of year for us as well. It's tiring. I hope you are able to enjoy the holidays fully and get recharged for January. I'm looking forward to seeing more posts from you as you were missed. That is a gorgeous dress and looks fabulous on you! Good job on the alterations. 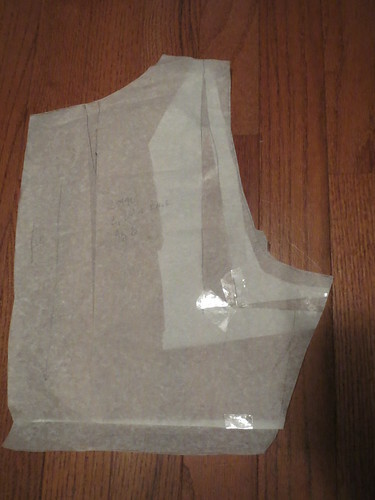 :) Also, interfacing the shoulders/neckline is brilliant for making sure they don't stretch out. Thanks for that! I'm so happy to see your face -- and dress! I'm sorry it's been a difficult time, but it's so wonderful to have you back. And the dress is lovely. 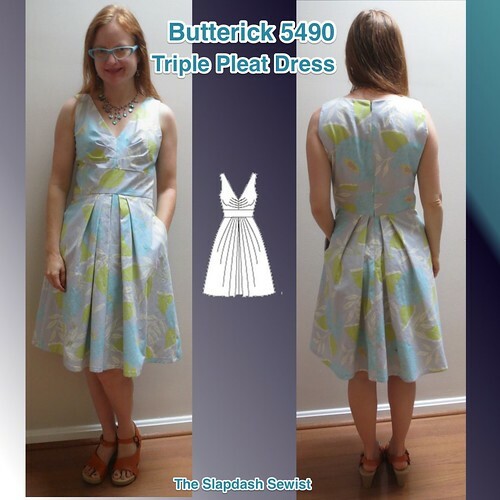 I saw this pattern and wondered if it would be too bulky with all of the pleats in the front. But it looks great on you. Surprised nobody mentioned that a waist stay might help support the weight of the skirt better. Could be retrofitted too. Happy you're back and so sorry for your losses. I LOVE those tucks! So much cuter than a simple gather! Really cute! Particularly love the last pic with the hat! You will have fun in this frock! Welcome back. I'm sorry your absence has been caused by grief. The dress is lovely. This fabric holds the pleats so well. When the season rolls around again, I can imagine this being a wonderful dress for summer. Very pretty! I like all the pleating on the skirt, although I can't imagine it being even more full. I like the shape. Perfect for a sun dress. Nice dress and fit Trena! Maybe try putting in a waist stay to hold up the skirt, instead of having the middriff do it? That would be in keeping with the couture sewing of the bodice. So good to see you back! Love this dress on you. Sorry to hear about the difficulties you have experienced. Here's to 2015. Cheers!